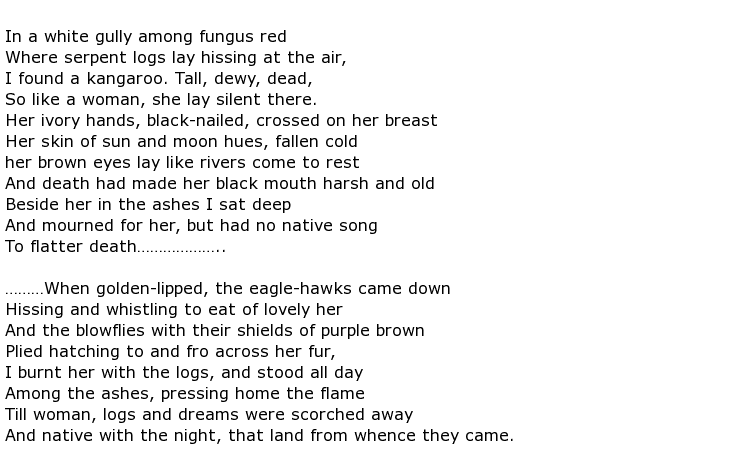 Eve Langley was an Australian-born poet and novelist who spent much of her life in New Zealand. Her work often reflected the difficulties that women of her era had in being accepted as a serious writer and choosing to be an artist or writer alongside (or instead of) the traditional female family role. She was born Ethel Jane Langley on the 1st September 1904 in Forbes, New South Wales. Her father, who she lost at the age of 11, was a carpenter and the family lived in relatively poor circumstances. Her mother returned to her roots in Victoria on becoming a widow and, understandably, Ethel and her sister were moved from school to school across the two states. The two girls later found themselves working as itinerant agricultural workers and Eve, as she became known, used this experience as background for her first, semi-autobiographical novel which was called The Pea Pickers. At the age of 28 she accompanied her sister and mother to New Zealand and, five years later, she married an art student eleven years her junior. They had three children together during their 20-year marriage but it ended in divorce in 1952. It was clearly a troublesome affair as Eve was committed to the Auckland Mental Hospital in 1942 by her husband, and she remained there for seven years before being released to live with her sister. She made a full recovery from whatever had been troubling her and travelled extensively, to Australia, Greece and the United Kingdom, all during the 1950s. Langley had been writing poetry and short stories since her twenties, having them published in a variety of periodicals. She became known for her evocative tales of life in the outback where both she and her sister had to live like men to survive the rough working environments that they chose to work in. They even took to dressing in men’s clothing, presumably to gain acceptance as well as for practical purposes. But she eventuality settled into the less strenuous life of a writer and journalist and was a regular contributor of poetry and stories to the Sydney Bulletin amongst others. Langley’s literary output was fairly considerable although she had only two novels published during her lifetime. Others remain unpublished, stored in the Mitchell Library as manuscripts. The overall impression of her work is often described as fanciful and romantic, sometimes cynical while, at others times, lyrical. Her love of the wilderness regions that she spent much of her time in shines through. She returned to the bush to live out her final years, hiding herself away in a small shack in the Blue Mountains of New South Wales. She reverted to her “manly” style of dress, usually with a knife attached to her trouser belt. Her solitude meant that people would not see her from one month to the next, which probably explains why her body lay in her shack undiscovered for some weeks after her death. Eve Langley died some time during June 1974 at the age of 69.